Customer service representatives are available 9:00 am to 5:00 pm, Monday through Friday to assist your shade needs. Is there a sales representative or dealer in my area? Please contact customer service at 800-319-1010 for information on sales representatives or dealers in your area. How do I obtain pricing information on your shade structures? Please contact customer service at 800-319-1010 for pricing information. We accept all major credit cards – including Visa, Master Card, and American Express. We also accept debit cards, checks and EFTs. Do your shade structures come with a warranty? 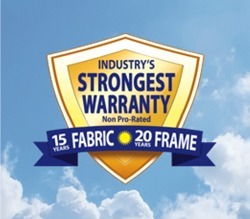 We provide a 20 year warranty on all steel framework and a 15 year warranty on all fabric covers. All warranties are non-prorated. Shade structures are high density tensioned polyethylene fabric covers attached to permanent steel frames. 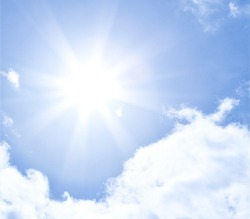 They are designed to protect people, property and animals from ultraviolet radiation, heat and hail. Do you design custom shade structures? Yes, our engineering department can design custom shade structures to meet your individual shade needs.  Please contact customer service at 800-319-1010 for information on custom shade structures. What kind of fabric do you use for your covers? 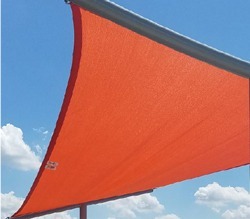 Our fabric shade cloth is made from high-density polyethylene with ultraviolet additives. The fabric is Rachel knitted to ensure fabric stability and prevent the fabric from fraying, even when cut. This special knitting also ensures a consistent shade pattern. What kind of steel frame supports the covers? We use a cold-rolled galvanized tubular steel with a triple layer of protection. The steel we use outperforms most steels in tensile strength and long-term corrosion resistance, as well as saltwater spray and other weathering tests. Will the fabric fade in the sun? All standard color fabric covers are guaranteed not to fade or deteriorate for 15 years. Will the steel frames rust? We provide a 20-year warranty on all steel framework. All steel frames are guaranteed not to rust, corrode or deteriorate. We use a cold-rolled galvanized tubular steel with a triple layer of protection. The steel we use outperforms most steels in the tensile strength and long-term corrosion resistance, as well as saltwater spray and other weathering tests. Entry height is the measurement from the ground to the pin where the cover cable is attached. Peak height is the distance from the ground to the tallest point on the structure. The peak height varies with each type of structure. How do you clean the shade structures? Our covers are made from a high-density polyethylene fabric that is naturally resistant to dirt and mildew. However, we suggest cleaning any soot or grit from the cover at least once a year to help maintain its vibrant color. Cleaning may be done with a mild liquid dish washing type detergent and a broom (if the cover is already removed from the unit); or a hose system used for washing external windows. We suggest cleaning the steel of your unit at least once a year, ideally during cover removal or reinstallation. Cleaning may be done with a mild dish liquid and a sponge. Are your shade structures waterproof? Our shade structures are not waterproof. The special breathable fabric is designed to allow air to flow through to cool temperatures up to 20 degrees while blocking up to 97% of ultraviolet radiation. Waterproof fabric is available for an additional upcharge. 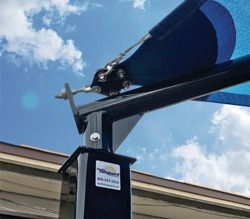 Do your shade structures withstand high winds? Our shade structures can withstand winds up to 105 mph with the covers on and 170 mph with the covers off. Our fabric covers and steel frames are available in a spectrum of colors. Are your shade structures designed for snow loads? Our shade structures are designed for 5 lbs. snow loads. Therefore, you must remove the covers before it snows. Are your shade structures fire resistant? Yes. Our fabric passes the E-84 fire rating test as well as the NFPA-701, and is rated a Class 1 Material. How do you remove the cover from the steel frame? Cover removal is quick and easy. It usually takes one or two people to remove the cover in 15-30 minutes. For a detailed description of cover removal, please see our maintenance page under the Technical section of our website. Can the shade structures be moved? No, our shade structures are permanent shade structures.